My driveway… Got home last sunday night, dragged myself and my bag with a change of clothes and such over the at least four foot tall snowdrift. Managed to get a walking width path cut through it tuesday, and started work on widening to VW Golf width on tuesday. Got lazy and decided to use the 4 by 4 Ranger pickup to driftbust, worked OK for a Rangerlength ’til it sunk through the compacted snow with wheels now in ruts on ice. First time I’ve been able to get the Ranger stuck, spent wensday digging it out and got it back in the garage. 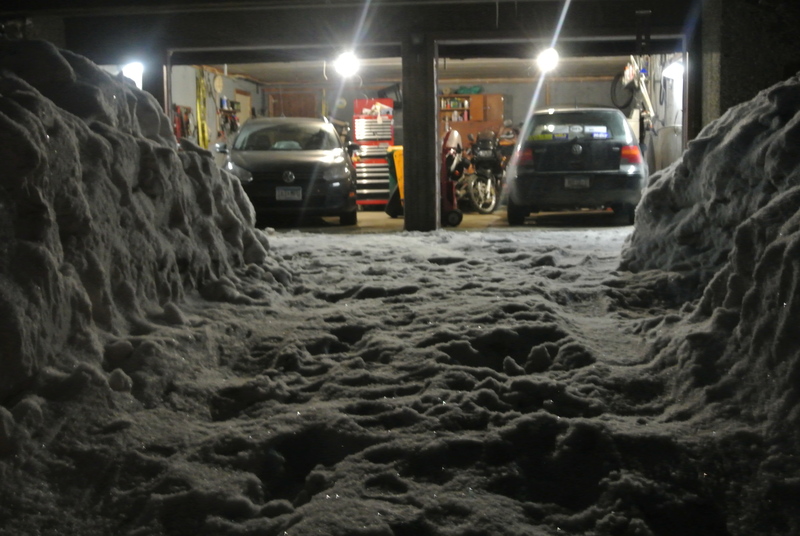 Managed to get the cut opened at least to 4 by 4 access on thursday, and dug it out enough to finally get the new Golf Wagon in on friday… Yup, it’s been sittin’ outside at the end of the snowclogged driveway all week, and fortunately the TDI has started right up after the nightly below zero temps. Even my good wrist hurts, to say nothing of my shoulders. And this ain’t the worst snowed in I’ve had, couple years ago the drift was seven feet deep! Clearly it’s time for the gearhead’s solution: Power tools! Tried my brother’s snowblower, but it continually got itself stuck and had to be pushed and dragged into the snowmass. ‘Spose I could put a plow on the Ranger pickup, but no way will it push through this drift to get out of it’s garage. Could park it outside, but it’d take forever to backdrag or sidecut through that drift. IH Cubs… Light enough to suit my big trailers 2200 pound capacity, plentiful parts, what’s not to like? Well, oddball 1800 RPM PTO speed vs. the customary 540, no 3 point hitch, rear wheel drive only, and the frame/engine block and front end are know to be brittle. Price? IIRC, these went for around $2k, and thought they were operable, they obviously weren’t restored or even rebuilt. That $2k will by a new midrange garden tractor with similar capabilities. Saw a Cub Cadet 782 diesel go for around $4k at the same auction, and the lesser gas powered Cadets that ran went for over $1k… Again, not good value when a new 4 by 4 diesel garden tractor goes for around $10k. Now I’ve easily got $10k laying around, thanks to mom’s estate settlement kicking in $20k toward the new Golf Wagon, leaving $20k in the “new car fund”. Could get a shiny new orange Kubota or the “green Yanmar” from John Deere, a loader, and maybe a snow blower… But that shiny new paint brands you as a recent arrival from the big city ’round here, and I need some rural ‘cred! 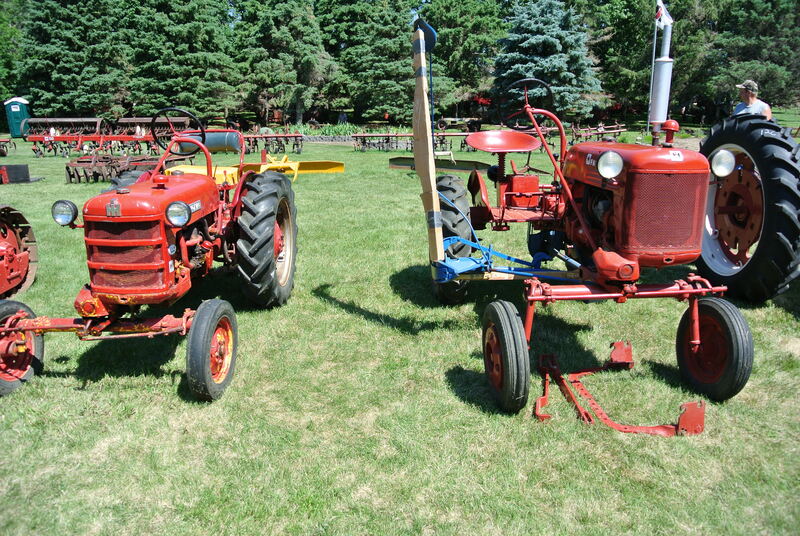 And while an old Cub, Cadet, or even the lovely diesel compact tractors Ford orphaned will get you into old tractor shows, maybe in a couple decades they might let a now shiny new Kubota in. Or I could try used… Or maybe not! 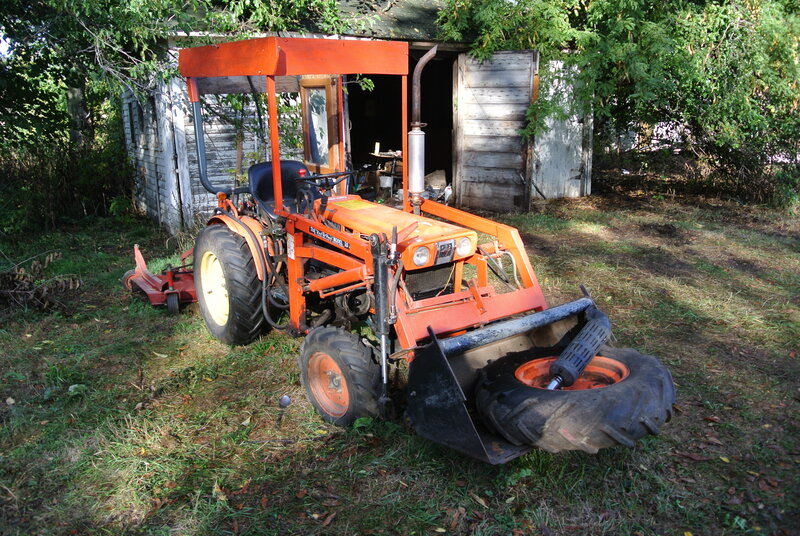 This neglected two decade old Kubota with a busted loader wouldn’t start, but a bidder who didn’t even know what it was gave $2k for it, twice my limit. Heck, I fell in love with a nice Ford 1200 4 by 4 diesel a couple years back, dealer wanted almost $5k for it and wouldn’t budge. 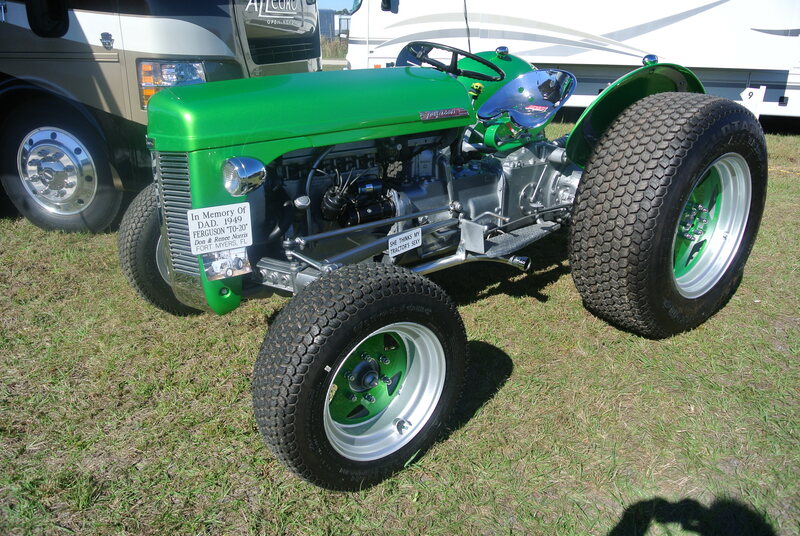 The sexiest tractor ever made, and my fave… the Ford N/Ferguson! Ya, it’s too heavy for my trailer, which is an excuse to lighten it a bit. Maybe with a rear mount snowblower on the 3 point, so rear wheel drive wouldn’t be such a handicap? Alloy wheels and LED lights… Heck, these things ain’t rare, why not “street rod” an N or Fergie? Beside’s the stock markets down, and I can’t bare to sell $10k+ of stock at less than peak price. But a couple grand of cash for an old tractor? No problem! Tractor???? I’m picturing a 5 hp Hit&Miss golf cart tricked out with the latest and greatest in snow removal equip. Maybe a front end mounted pellet stove to melt your wat thru. Roger (from you left by your own choice) FL.